Save money and eat healthy this week by skipping the takeout and packing lunch for work or school instead with this easy 5-day plan. A little lunch-packing effort goes a long way to save some extra cash. This easy 5-day plan includes packable, healthy lunch ideas for each day of the workweek. They're easy to prepare, plus they're more affordable than what you'd pay for prepared food or takeout. Pack these lunches up in a few minutes each morning or, even better, prep all five lunches over the weekend to have ready to grab-and-go lunch in a hurry each day. This no-cook salad is ready in 10 minutes or less. It's a good source of fiber and unsaturated fats to promote heart and digestive health. Pack the dressing separately and dress the salad just before eating so the greens stay crisp. Although this salad should be a filling lunch on its own, leftover chicken from last night's dinner would be a great protein boost. 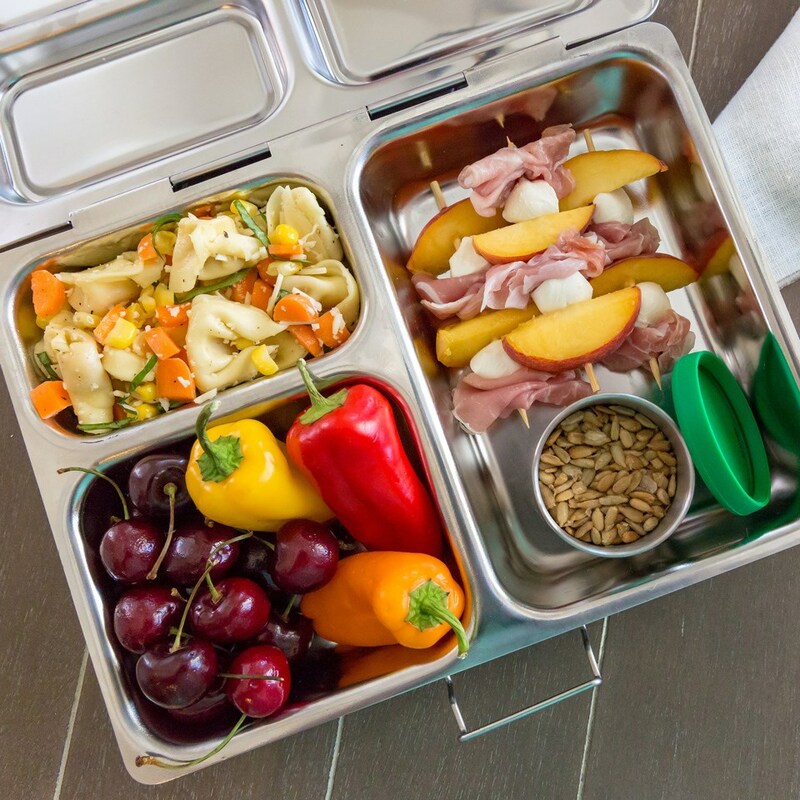 Bento boxes are the ultimate easy lunch because they are so versatile and portable. They're a perfect option for those days when you have a small amount of dinner leftovers but not enough to make a full lunch. Feel free to switch up the fruit and vegetable options for what's in season. 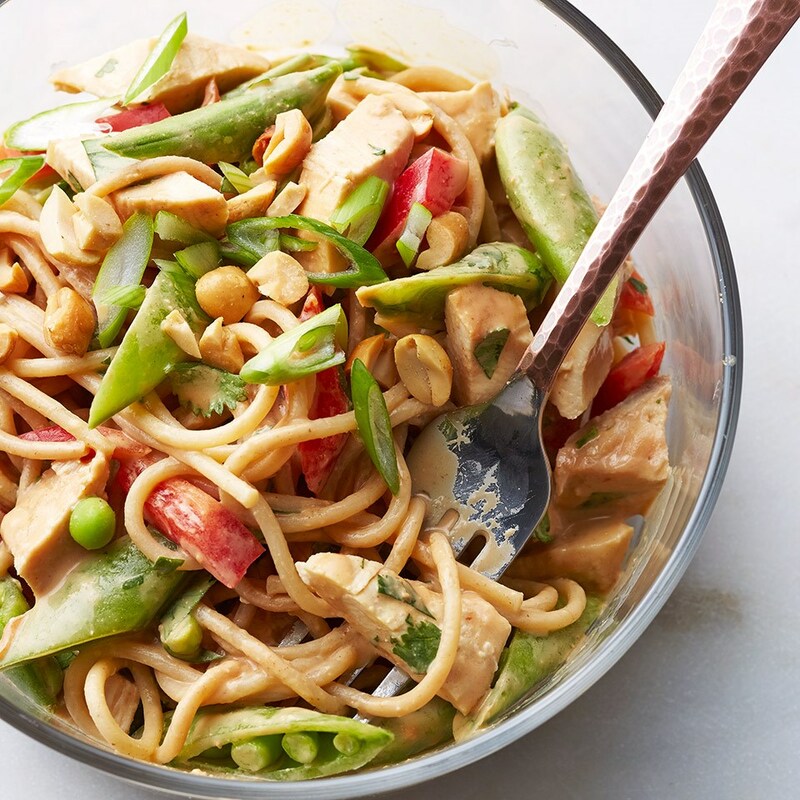 Prepare this noodle salad the night before so you can enjoy a healthy lunch and a stress-free morning. It provides 34 grams of protein and about one-third of the daily recommended fiber to keep you full and satisfied all afternoon. This recipe doubles or even triples easily so you can enjoy this lunch throughout the week. Sandwiches are a classic and well-deserved lunch standby. They're quick and easy and have endless options. This version uses mashed avocado for a creamy spread that's lighter than mayonnaise. 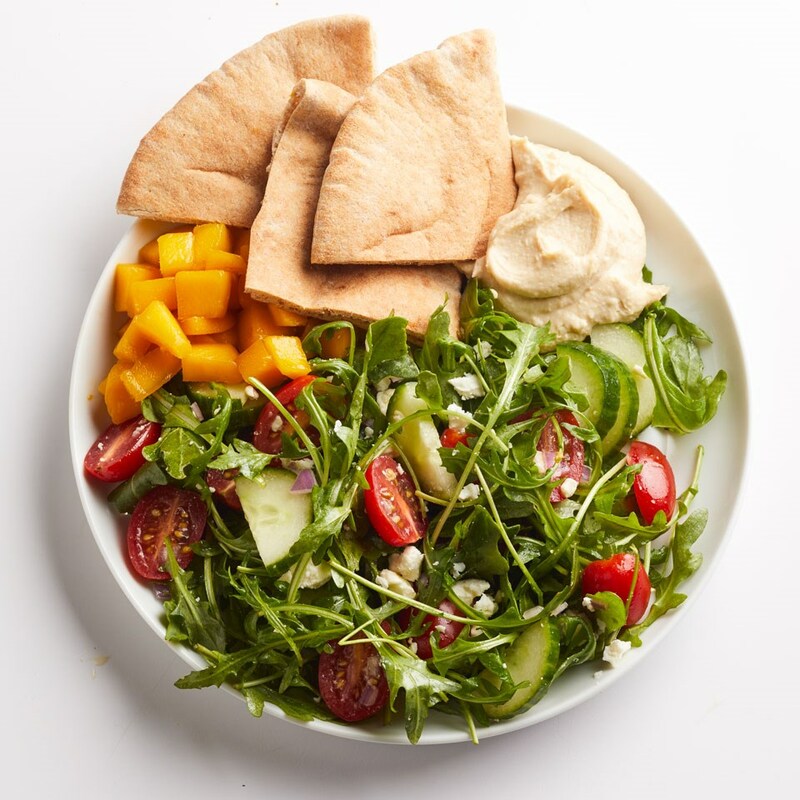 For sides, try veggies and hummus, yogurt or fruit to round out this meal. EatingWell frozen entrees come in many varieties and are a great option for lunch. Packed with whole grains, protein and a full cup of vegetables, they're great to keep stashed in the office freezer for those days when you simply don't have time to pack lunch or go out. 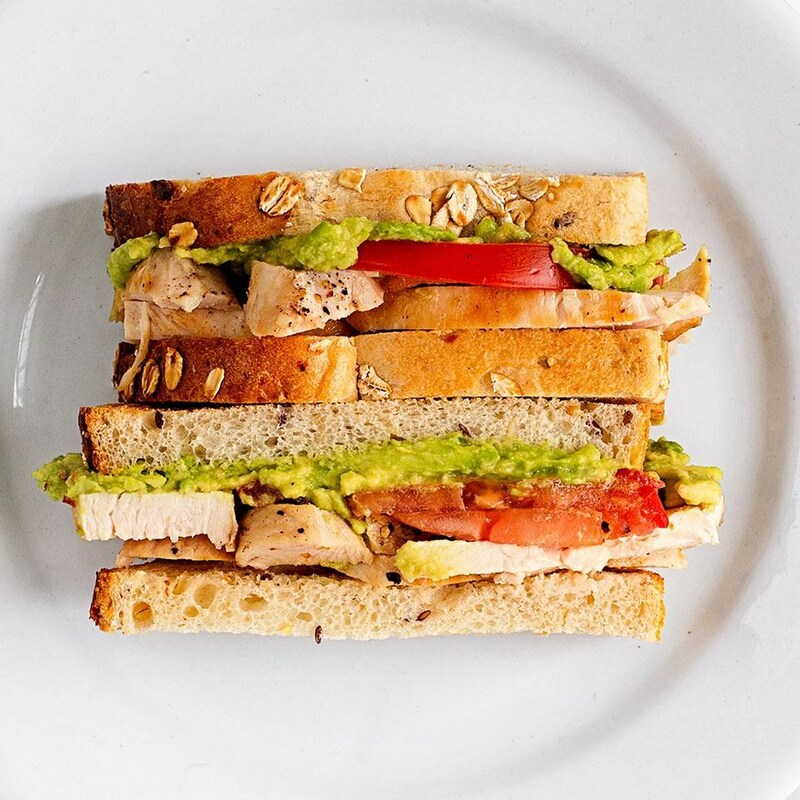 With 22 grams of protein, this lunch will keep you full all afternoon.